Blue Flag Iris, Blue Eyed Grass, Rose Pagonia Orchid, Wild Rose, Sheep Laurel, Nightshade, Owl Clover, Cinquefoil, Milkweed. On my recent photoprowl to Laudholm Farms (Wells National Estuarine Research Reserve) Rose Pagonia was not the only wildflower blooming (see last Sunday’s The Generous Eye post). 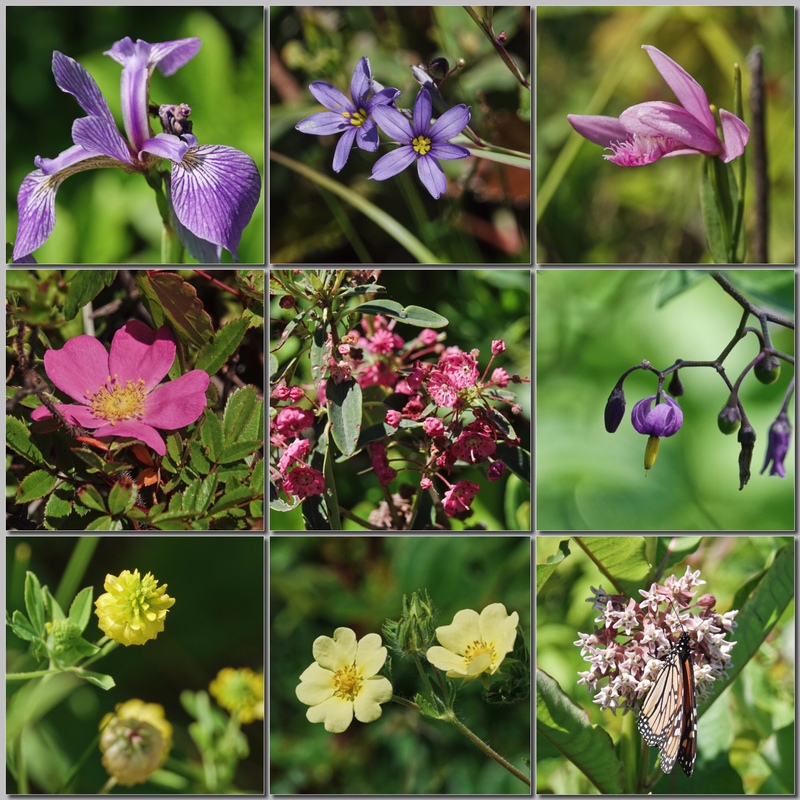 This is a panel of 9 of the wildflowers of Laudholm Farms in June. Left to right and down: Blue Flag Iris, Blue Eyed Grass, Rose Pagonia Orchid, Wild Rose, Sheep Laurel, Nightshade, Owl Clover, Tall Cinquefoil, and Milkweed. All were taken with the Sony RX10iv and all at 600mm equivalent. Program mode. Processed in Polarr and assembled in FrameMagic. Ah to be in Maine in June.